iDancehallReggae.com::Caribbean Lifestyle Media::: #SaveReggae Vol, 1". Chronixx "Here Comes trouble" Added to BBC Radio 1Xtra Playlist. 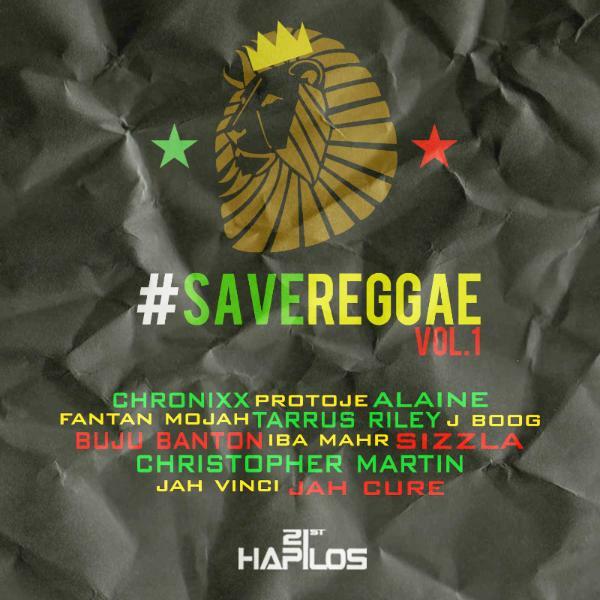 #SaveReggae Vol, 1". Chronixx "Here Comes trouble" Added to BBC Radio 1Xtra Playlist. (21st Hapilos Digital) - Recently featured on 21st Hapilos Compilation "#SaveReggae Vol, 1", Chronixx "Here Comes Trouble" has freshly been added to the BBC Radio 1Xtra playlist. The single produced by Winta James for Overstand Entertainment on the Rootsman Riddim features the smooth vocals of reggae star Chronixx and has received worldwide success and debuted on several international charts. BBC Radio 1Xtra is one of the premiere digital radio station in the United Kingdom from the BBC, specializing in urban music varying from such genres as Hip Hop, House, Dancehall and Reggae music. The sister station to BBC Radio 1 station, BBC Radio 1Xtra is regarded as one of the most popular digital radio stations, boasts millions of listeners and features a 24/7 programming of various music and notables shows. Although it might seem as if the talented artist just exploded on the scene, Chronixx has been perfecting his craft since the age of 14. He has become undoubtedly one of the biggest breakthrough star of reggae of the past few years. He has constantly delivered memorable hits thanks to his unique style, and with his gift to reggae was chosen for the 21st Hapilos Digital compilation of "#SaveReggae Vol, 1". 21st Hapilos Compilation "#SaveReggae Vol, 1" featuring Grammy winner Buju Banton "Everybody Knows", Billboard chart topper Sizzla "Music In My Soul", Chronixx "Here Comes Trouble", Protoje record breaking "Kingston Be Wise", reggae songstress Alaine "Bye Bye Bye", Fantan Mojah "Rasta Got Soul", Tarrus Riley "Good Thing Going", international star J Boog "Break Us Apart", fast rising reggae artist Iba Mahr "Let Jah Lead The Way", Christopher Martin chart topper "Chill Spot", Jah Vinci"Never Too Late" and Jah Cure "From My Heart". The message is clear, the music is clearer #SAVEREGGAE. The album is available on distributed by digital giants 21st Hapilos Digital.